You will find Employee scheduling reports based on scheduled hours and Time and Attendance reports based on actual time entries for our pro plan users. The hours and cost report exports the total scheduled hours per employee. If you want costs to be displayed, hourly rates have to be added to the employee profile. Most used in the restauration business, the report exports the percentage of scheduled cost over the budgeted revenues. This will export the amount of each type of scheduled time offs per employee. 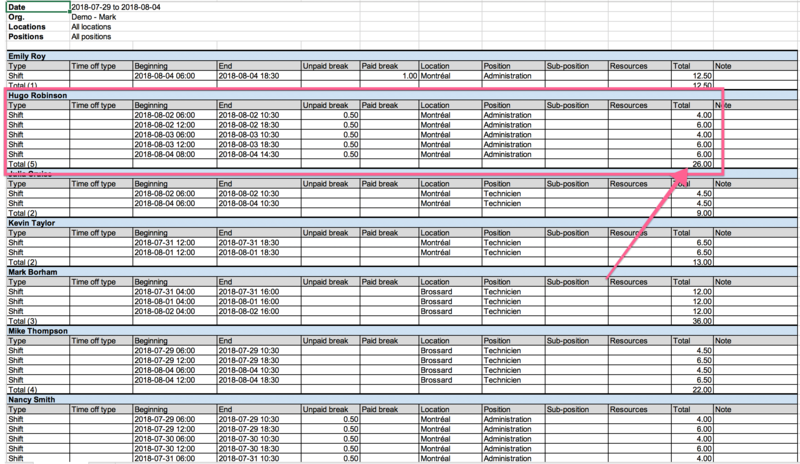 Generates a report that gives the total hours scheduled per resource. 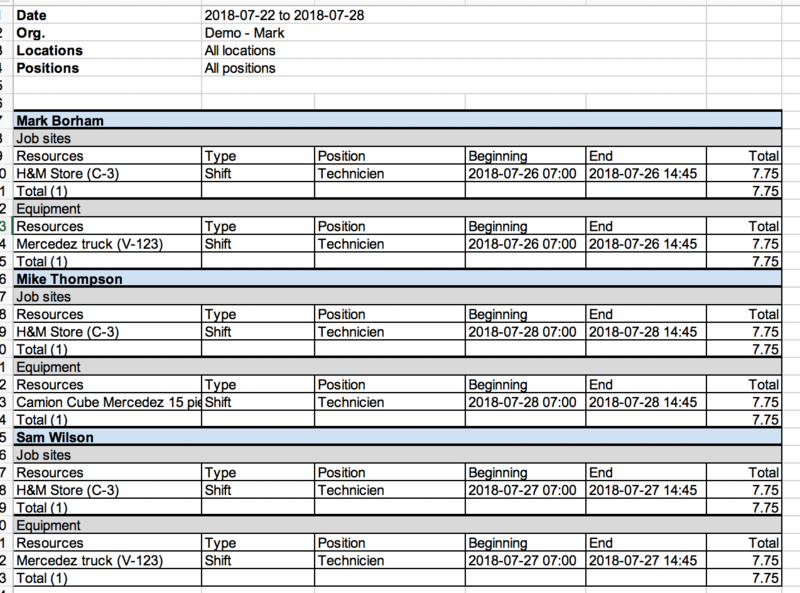 Generates a list of all scheduled shifts and time offs. It can be personalized with multiple options. We recommend grouping by employee.